Eight car guys, including Francois Castaing, will be inducted into the Automotive Hall of Fame Tuesday, October 12. The formal ceremony will be at the Ford Community & Performing Arts Center. The seven other inductees beside Castaing join the Hall of Fame posthumously. Francois J. Castaing, who began his career in motorsports with Gordini and Renault, and then led product development for AMC and Chrysler. 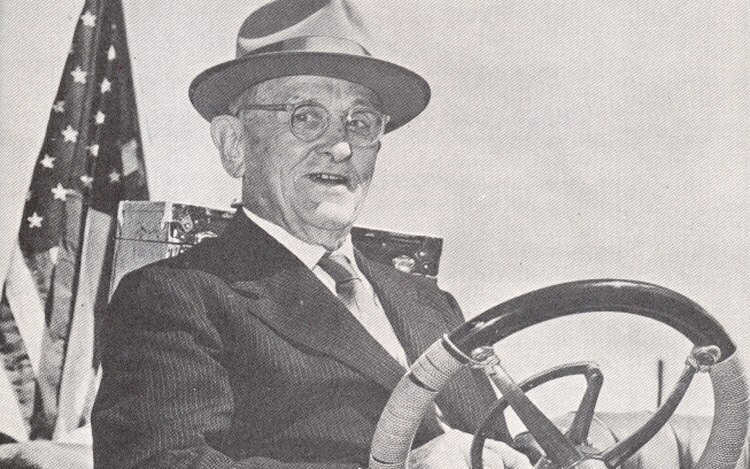 Lewis M. Crosley and Powel Crosley Jr., builders of microcars in the U.S. from 1939-52. Howard A. “Dutch” Darrin, designer of iconic European and American cars, including custom-bodied Packards and the Kaiser Darrin. Henry J. Kaiser and Joseph W. Frazer, American industrialists and founders of the Kaiser-Frazer Corporation, which built cars from 1946 to 1955. George N. Schuster (pictured), winner of the 1908 New York-to-Paris race in his Thomas Flyer.